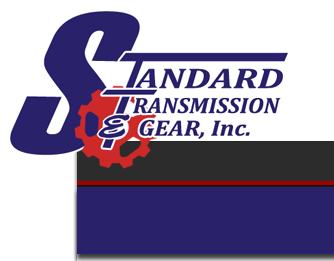 Standard Transmission and Gear is located in Ft. Worth, Texas near the historic Ft. Worth Stockyards. We have been in business since 1984. Our 30,000 square foot facility includes a stocking warehouse, two re-manufacturing areas, and a service facility. The founding principal of providing service for all products that we sell is still in place. Our sales staff is very knowledgeable with over 50 years of experience combined to help you with the technical problems. Our business is a team effort and we are all very passionate about what we do. We are very accessible and truly interested in helping make sure your experience with Standard Transmission & Gear is a great one. We offer a full line of products to give you a broader range of choices to meet your every need. 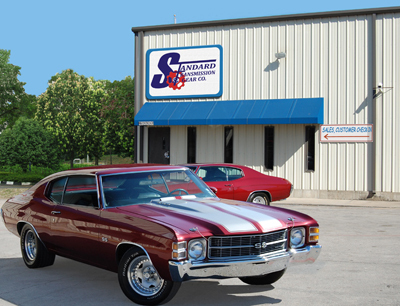 We are sure you will agree Standard Transmission & Gear is "The Standard You Demand." 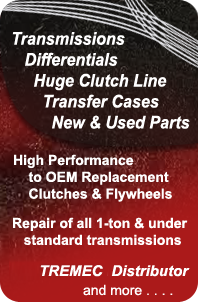 1.800.783.8726 Transmissions, clutch assemblies, transfer cases, and differential parts. We are distributors for Tremec, New Venture, South Bend, McLeod, Ram & Motive Gear. We stock a full line of products and service all products that we sell. Our mission is to provide you with the highest level of customer service by providing a secure and easy to use shopping experience, getting your order to you as quickly and as affordable as possible, and by making ourselves available to you by phone and email to answer any questions you may have.